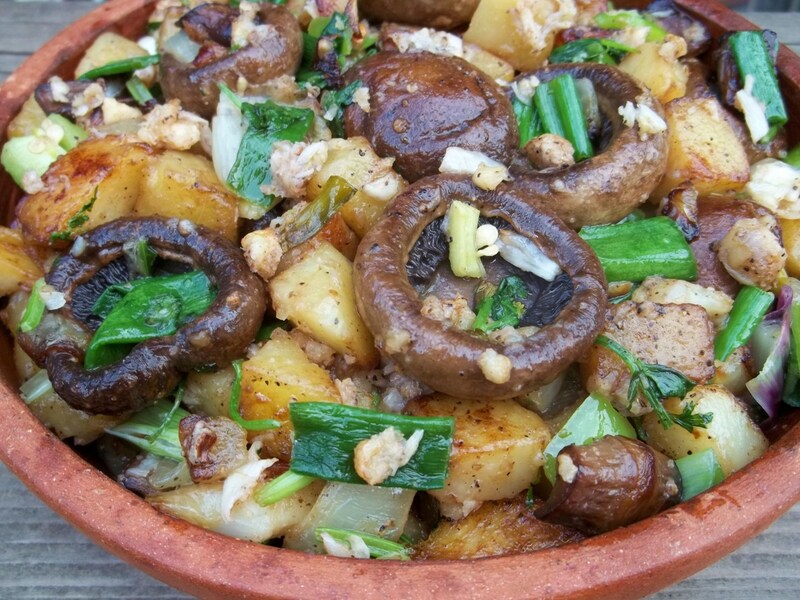 In this family recipe we show how to make a delicious meal of mushrooms, walnuts and green onion, flavored with fresh green coriander and garlic. 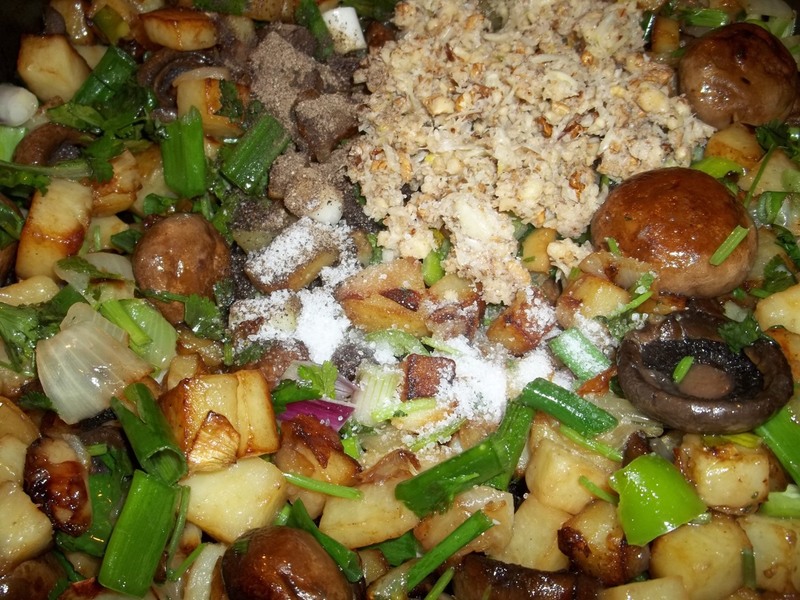 Ingredients: 500 grams of mushrooms, 200 grams of walnuts, 8-10 cloves of garlic (or less if you prefer), 500 grams of potatoes, 2 white onions, 8 green onions, 30 grams of fresh green coriander, 1 tsp of black pepper, 70 grams of butter, 10 tbs of oil, and salt (amount dependent upon personal preference. 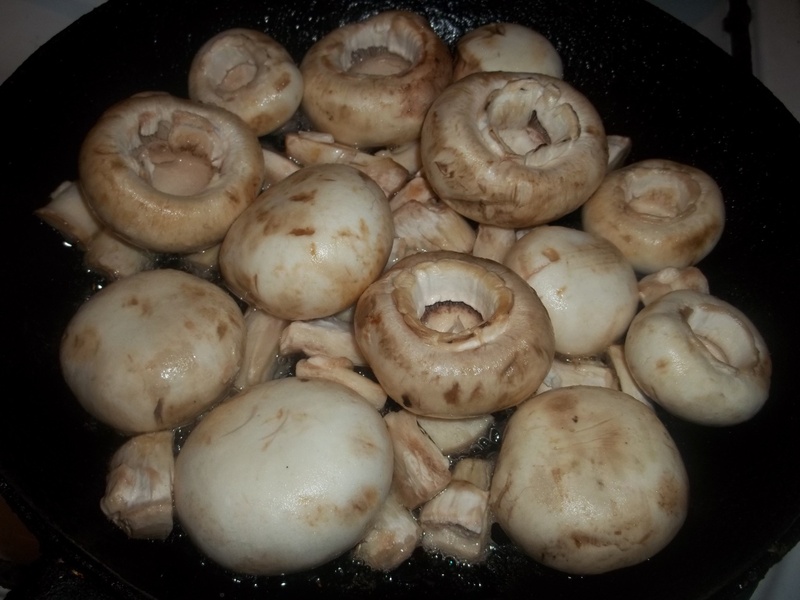 Preparation: Wash and separate the cups and stalks of the mushrooms. 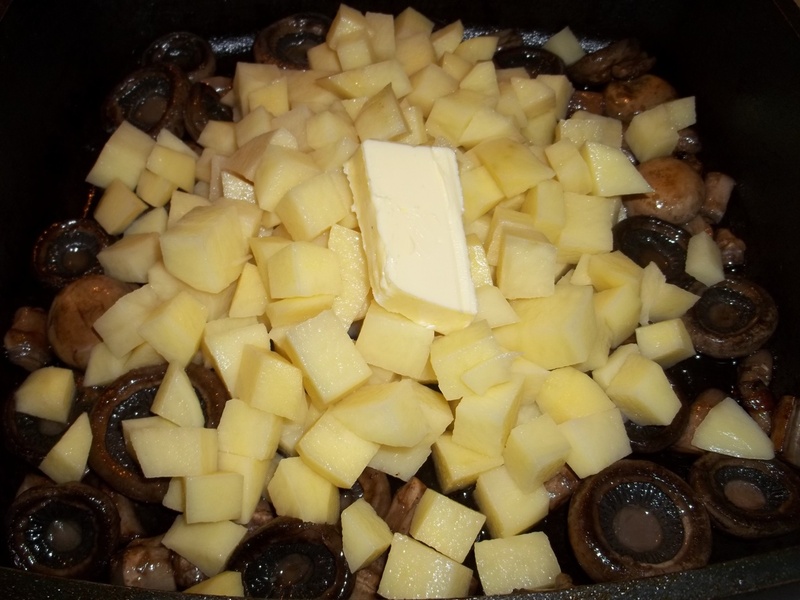 Add the mushrooms to a pan with 10 tbs of oil. Cover and fry on a low heat for 20 minutes. 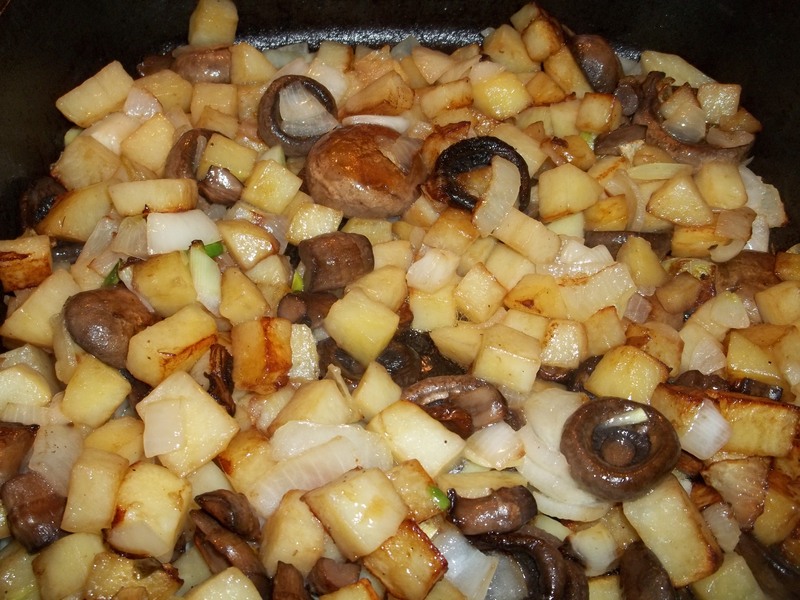 While the mushrooms are frying, remove the skin from the potatoes and cut into small pieces. Add the potatoes to the pan, together with 70 grams of butter. Stir and cook, uncovered, on a medium heat until the potatoes are fried. Stir frequently. 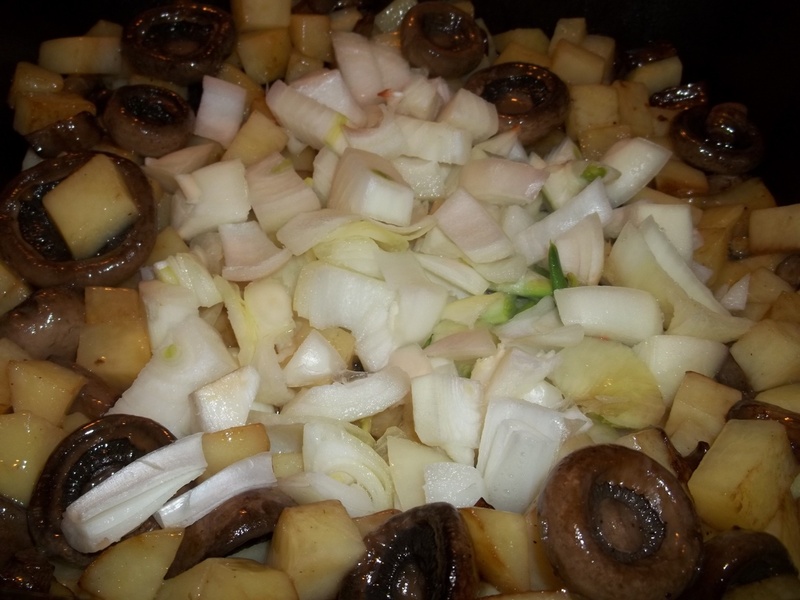 Chop the white onions and add to the pan. Stir and continue to cook for a further 5 minutes. 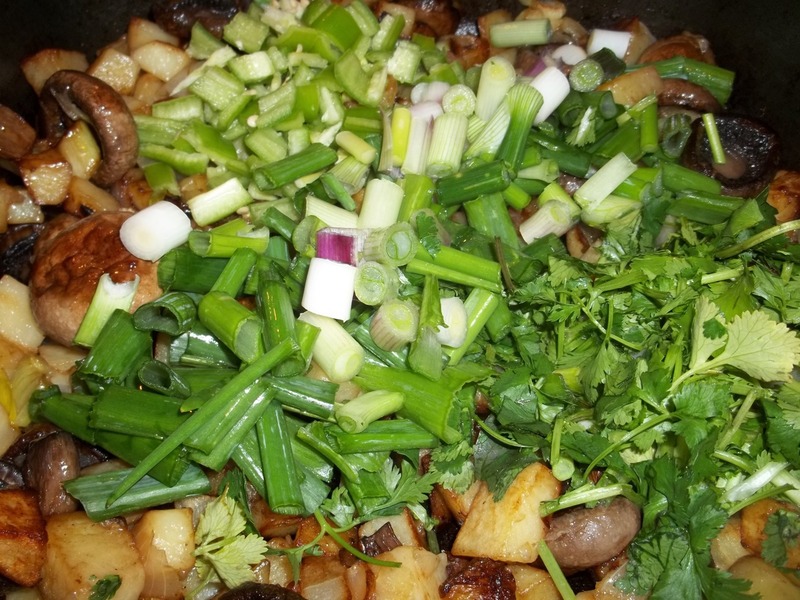 Chop the green onions and add to the pan. Stir. Crush the walnuts and garlic together and add to the pan, together with 1 tsp of black pepper. Stir thoroughly and remove from the heat. 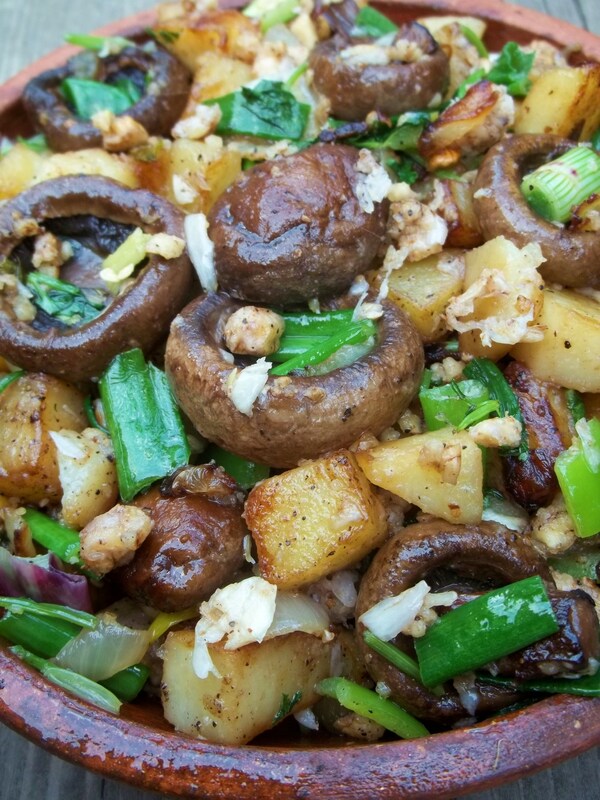 Enjoy your Mushrooms with Walnuts and Green Onion!